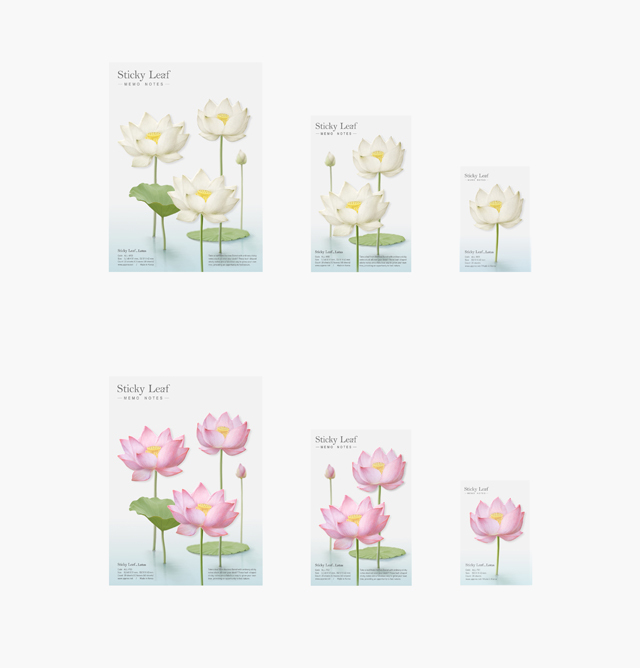 Stickyleaf Lotus is a petal-shaped adhesive note. 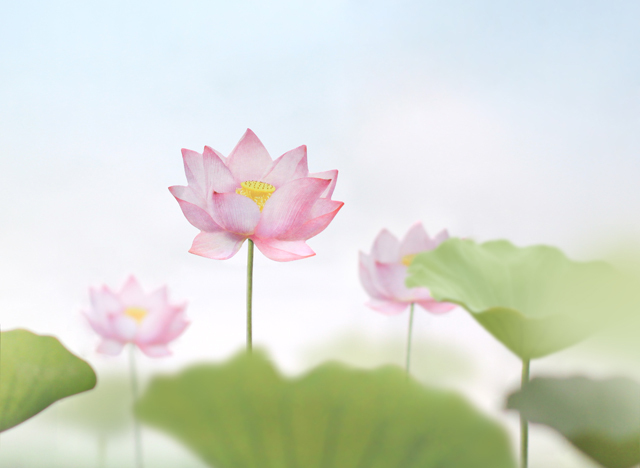 At early dawn, you come across a lotus flower with morning dew in the misty pond by chance. 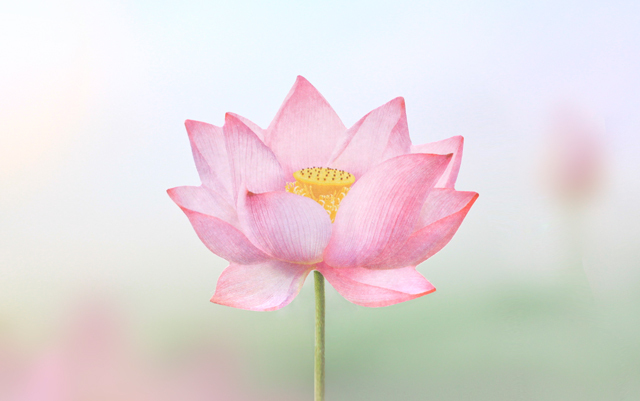 The lotus from a distance, despite growing in mud, is not affected by the surrounding environment and seems to be blooming straightly with boasting of its beautiful figure. 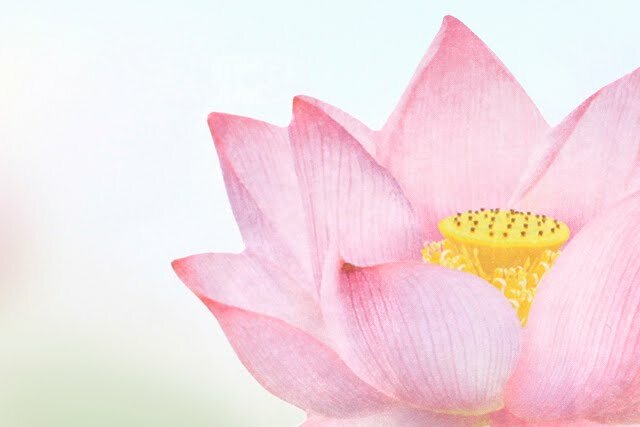 Under the shadow of a large lotus leaf, if you look at the pure and innocent appearance of the lotus flower that rises straight up from the muddy pond, you can feel the strong vitality and purity of it. 스티키리프 연꽃은 꽃잎 모양의 점착메모지입니다. 이른 새벽녘, 안개낀 연못가에서 우연히 아침 이슬을 머금은 연꽃을 발견합니다. 멀리서 바라본 연꽃은 진흙 속에서 자람에도 불구하고 주변 환경의 영향을 받지 않고 오롯이 자신의 아름다운 자태를 뽐내며 곧게 피어난 모습입니다. 커다란 연잎의 그림자 아래, 오롯이 곧게 솟아오른 연꽃의 맑고 순수한 모습을 바라보면서 연꽃의 강인한 생명력과 청정무구함을 느낄 수 있습니다. While keeping original beauty of natural material itself as much as possible, we added the least design on it. You may feel aesthetics itself of true nature with elaborately and realistically expressed lotus. 자연의 소재가 가지는 본연의 아름다움을 최대한 유지하면서 최소한의 디자인을 가미하였습니다. 정교하고 사실적으로 표현된 연꽃은 자연 본연의 미학 자체가 느껴질 수 있도록 하였습니다.